During the election for President George W. Bush’s second term, my father penned a letter to me expressing his dismay that I was voting for John Kerry for President. “I have failed as a father if my daughter is voting for this traitor to his country,” he wrote. I did not write a response—or rather, I did not mail one. In drafts I never sent, I kept trying to convince him that Senator Kerry, a veteran, had every right to speak out with the Vietnam Veterans Against the War. Such freedom is what American soldiers serve to preserve. But I knew I was no more likely to change my father’s mind than he was to change mine. Shouldn’t such liberal ethics as Kennedy describes be among the qualities that would make a father proud of how he had raised his daughter, rather than concerned that he had somehow “failed”? But though Daddy was an incredibly generous man, he was also much more conservative than I had ever suspected when I was growing up. My father’s rigid, provincial, and sometimes judgmental opinions also came through in his characterization of Muhammad Ali as another traitor to his country, as well as a coward. I remember hearing him holding forth on Ali in my maternal grandparents’ living room during some holiday gathering. It had never occurred to me to question my dad’s declarations to this effect during my childhood. Many years later, while living far away from my Louisiana family, I discerned from a social conversation in my hearing that there was more to the Ali story than I had ever heard. I winced at my ignorance and remained mute on the subject until I could go to the library to read the side of Ali’s story left out of my father’s pontifications. Upon doing so, I determined that Dad had proclaimed the heavyweight champion a traitor for refusing to serve his country, also in Vietnam, without consideration of Ali’s reasons, his conscientious objection to fighting people (of color) who had done him and his loved ones no harm. As I did most of my father’s views in my youth, I had just accepted his assertion about Ali, without asking questions and with no understanding of how much courage was reflected in Ali’s stand. I eventually learned that the Supreme Court ultimately overturned Ali’s conviction of draft evasion, but I doubt the ruling changed Daddy’s mind about the boxer. In spite of his unwavering judgement of people like John Kerry and Muhammad Ali, he was not one to believe in such fixed categories as liberal and conservative. During his campaign for the Louisiana state legislature in the 1970s, when reporters asked him to define his political stance in such dichotomous terms, he responded, “Put me down as reasonable.” Dad was a registered Democrat during his political career. For a decade of my childhood, he served as a Louisiana state representative and then senator. One of the stories that stuck with me from those days is his recounting of one of his old school teachers telling him he needed to legislate raises for teachers. He agreed with her that they were underpaid and promised to work on that. “But don’t you raise my taxes,” this woman added, her finger wagging in her former pupil’s face as though he were still sitting in a desk in her classroom, just about to misbehave. So Dad asked her, “Where do you expect the funding for those raises to come from? How do you think teacher salaries are funded, if not taxes?” Her response was that he needed to find the money somewhere else. As young as I was, no older than twelve, when I heard him recount this tale as a source of frustration for politicians like him, I understood his lesson, which seemed so simple, so reasonable. I think of that early lesson on taxes often, whenever I hear complaints about “tax and spend” Democrats (ironically, often from my own brother, who was still a baby when Dad ended his political career). I cannot understand the obtuseness of those who fight any reference to taxes. How else are we going to raise teacher salaries, pay police and firemen and garbage collectors, maintain roads and public buildings, or fund the military? After Dad left political office, he became a Reagan Democrat in the early 1980s, a full-fledged Republican for a while after, and ultimately an Independent, which went along well with his early assertion that he was neither liberal nor conservative, just reasonable. Since his last career involved lobbying for a public university (wouldn’t it be wonderful if all former legislators used their political connections for universities instead of their own bank accounts? ), I teased him that he had to vote the Democratic ticket. I know he recognized the intelligence and I believe he respected the presidency (if not always the behavior) of Bill Clinton, whom I am pretty certain he voted for. He probably voted for Al Gore, as he was still working in the university’s development office then. But Dad also respected the office of the presidency, and some time during George W. Bush’s terms, he told me in response to my referring to the junior Bush as “W” that whether I voted for him or not, he was the United States President, and I needed to be respectful towards him. I agreed and asked my father’s pardon for being disrespectful in front of him. When 9/11 happened, the same patriotism that was so offended by the actions of John Kerry and Mohammad Ali was ignited, and Dad took a hard right turn. Following 9/11, coming into the kitchen for coffee in the morning during my visits back home, I noted Fox News on the small television on the counter, rather than the more innocuous, even if vacuous Good Morning America–type morning program I seem to recall from earlier visits. Dad once quipped in tolerant response to my politics (before the Kerry election made my liberal views anathema to him) the old canard about liberals and conservatives, “If you’re not a liberal before you’re thirty, you have no heart, but if you’re not conservative after thirty, you have no brains.” I can’t remember if I was thirty yet, or if I was just past thirty, and he was telling me it was time to grow up—which, ironically, to him meant seeing the world like my daddy did. Somehow, by the time my siblings and I were embarking on careers and starting families, “liberal” became a word used by members of my family to mock—me, in particular, for my older sister is quieter about her liberal leanings. In the 1990s, that mockery was largely lighthearted, my stepbrother and I debating openly our opposing political views. However, I remember one night when we were all gathered for a family vacation in Florida, this stepbrother’s tone darkened uncharacteristically, and I was taken aback by his insults. But his wife chastised him, telling him he’d had too much to drink and perhaps needed to turn in. “No need,” I said. “I was just going to bed myself.” When I got up to leave for my hotel room, my brother walked out with me, following me into the elevator and seeing me to my room. He didn’t say much, just seemed to be making sure I was not too upset by our stepbrother’s remarks. I assured him I was fine, but in hindsight I realize that was my last family vacation. I no longer found the constant denigration of my ideology amusing, much less entertaining—or for that matter respected the ideology many of them espoused. As blessed as my family has always been, even surviving Dad’s bankruptcy in the ’80s with very little change of lifestyle, I simply cannot understand a resistance to taxes that help those less fortunate or to a healthcare system that everyone can afford. Now, in the age of social media, mockery toward the liberal viewpoint has become so mean-spirited that I have actually told the same, previously compassionate brother who was concerned about my hurt feelings that night, “Family fighting on Facebook is trashy”—in a message, not a post. “Have more respect for your older sister,” I wrote in my public response to a particularly harsh comment from my brother, feigning light hearted teasing for onlookers while feeling deeply wounded by his disrespect. My suspicions about the ignorant bigotry I would witness on social media and, when speaking out against it, finding myself prey to petty meanness expressed by people I love, is exactly why I was among the Facebook holdouts for so long. “Don’t tell me,” I would say to my significant other when he remarked upon a comment posted by one of my family members (more irony, not my stepbrother, who does not use Facebook for political vitriol). I didn’t want to hear that people I know, who know better than that, were espousing such views. But then my father died, and I was so moved by the friends who came from all over the state to mourn with me that I gave in and joined Facebook. I needed to be in touch with people who knew the man I’d lost. I may not have agreed politically with my father, but he had been a huge presence throughout my life, and, it turned out, he was my muse—is my muse, as this writing reflects. It was unusual in the Deep South, as my mother can attest (her father being even more conservative than mine), for a father to support a daughter’s ambitions. Mine did, and I will never stop trying to make him proud. Sadly, many of the friends I grew up with used the n-word habitually. “Nigguh” (Cajun accents do not pronounce the “r” at the end of a word) was simply the term they employed to refer to African Americans—not to their faces, of course, except when yelling at someone who cut them off in traffic (or for that matter, whose driving did not in any way meet with their approval). In response to my early childhood inquiry as to why my friends’ parents used a word that my parents had told me was akin to “cussing,” my father said simply, “They don’t know any better,” adding sternly, “But you do.” He suggested these friends had not been taught what he and Mom had taught us about how hurtful that word is, though I did eventually recognize as I grew older that they had apparently been taught not to use it when talking to black people. Just about them. “I got out,” I want to reply. I found out that my family is not the only one that does (did?) not use that word. And I found out that “liberal” thinking is compassionate and empathetic, not naïve and ignorant. When the US was in the middle of the most frightening, nationally embarrassing, and shocking presidential elections of my lifetime—Hillary Clinton versus Donald Trump—I found myself not writing the letter I wanted to write to my brother because I didn’t want to hurt him the way our father (unintentionally) hurt me in his letter to me twelve years before when he chastised me for my support of John Kerry. I told myself, this is different. Daddy was simply wrong about John Kerry. I am not wrong about Trump. He is even more dangerous than the Bush administration. But I knew that such a letter was more likely to enrage than wound my brother, for rage, not sadness, is the reaction of the Trump supporter. I didn’t want to cause him pain, but I also did not want him to turn his anger on me. I have been deeply saddened by witnessing the wrath of a brother I remember as such a sweet boy and young man. A man who took such good care of our father in his last years, checking in on him almost daily after his retirement, when he was nearly blind, taking him to lunch or at least making sure he was okay. Who is taking care of our mother now, recently moved back to Louisiana. After one of his attacks upon me just before her move, I told him Mom does not support Trump, finds him as reprehensible as I do, and as far as I know, he, a devoted son who would never want to hurt his mother, has taken that shared information and spared Mom his political wrath, if not his views. My brother is now only in his mid-forties and yet already the quintessential angry old man watching Fox News. Also, there is seemingly nothing I can say to change his mind about his adamant anti-liberal stance on all matters. And worse, there seems to be nothing Trump can do that he deems a worse threat to America than the “liberal agenda.” Daily revelations about Trump’s past; daily speeches in which Trump asserts unequivocally that he did not say something, which is then played back, proving him a liar; daily Tweets generalizing about a particular ethnic group; a barrage of evidence of the corruption of his administration, including collusion with Russia to get elected; not even Trump’s proud bragging about getting away with assaulting women—nothing changes the minds of these Trump supporters, including the brother of three adoring sisters, with two loving mothers, and a devoted wife. The Trump supporters I know express no concern about his behavior as President or evidence of collusion with Russia; rather, as I see throughout the social media shared by my conservative family and friends back home, they continue to spout venomously about his predecessor Barack Obama and former opponent Hillary Clinton in their attempts to justify, excuse, or dismiss Trump’s actions and lies. I’m left baffled: what happened to my sweet baby brother? Why is he so angry? He loves and is loved by his beautiful wife, not to mention his three older sisters and mother; stepmother, stepbrother, and stepsister; nephews and nieces. He chose not to have his own children, but helped to raise his wife’s son, adores his dogs, and tolerates a cat (that he secretly loves too). He and his wife have successful careers in real estate. They have different vehicles just about every time I see them. Her hands are professionally manicured; she wears designer shoes, and the protruding toes look pedicured. He, having appreciated name-brand clothes since he was a teenager, has an impressive wardrobe; and they both take daily advantage of gym memberships. Recently, they added a pool to their backyard. I have no problem with any of this. They work as hard for their earnings as I do for mine, and I certainly have my own luxuries, including a second home on a river front. Also, I love my infrequent pedicure! I’m just not clear on what is so bad about their lives that they have bought into the need to “Make America Great Again.” Is it such a burden to pay a little more for health insurance to help people who could not otherwise afford health care? What do they have to give up to cover higher insurance payments? Reading their complaints on Facebook, one might be surprised to find their regular posts about eating out with friends. One would imagine from his expressed concerns about his health insurance rates that such luxuries as restaurant dinners are beyond his means. He doesn’t vacation much, but that’s by choice. He seems to have no interest in traveling beyond the Florida beaches of our childhood trips. What is it that they are being deprived of that is making their lives so unsatisfying? There is enough bounty in our lives to share the burden of living with those not as fortunate as we have always been, I want to tell him. This now angry brother, my dad told me once, chastised him for sending political emails to his full contacts list (before social media). “If you want her to come home more often,” my brother told our father, referring to me, “stop including her in your mass emails. You know she’s a liberal.” I thought that was so sweet, so insightful, so thoughtful. I’m glad Daddy shared this instance of brotherly love, but I wonder, too, about him—what happened? Is his political ranting a reflection of his grief over the loss of our father? He is clearly hurting, and if there is one element of his life I can always relate to, it is grief over the sudden passing five years ago of our much beloved by us all, larger-than-life father. I wonder if Dad regretted writing that letter to me. We never talked about it, pretended in person that those particular sheets from a legal pad, filled with the practically illegible handwriting I loved, did not exist. I had learned to decipher and appreciate his poor penmanship when he wrote daily to his young daughter, away at summer camp, reporting on what was going on at home, including, one summer, the progress of my baby brother’s potty training, in preparation for our family vacation on the Florida panhandle after I got back from camp. “I told him big boys don’t wear diapers on the beach,” Daddy wrote to me, on his official Louisiana State Senate stationery, which makes me smile to see, imagining him penning this potty progress report sitting at his desk in the Senate chambers during some boring legislative session. I reread letters he wrote to me over the years, full of love and pride in my summer camp adventures, my academic and then career accomplishments, and I weep for the loss of my daddy, a loss I began to feel a few years before his passing as he drifted irrationally right and expressed suspicion of rather than respect for and pride in the first U.S. African American President. Now, he is forever gone, and we will have no chance to sit and talk through these differences—not that we would have. He was not one to debate politics. He was more a pontificator in that arena. I did not send a letter to my brother to express my disappointment over his support of a misogynistic xenophobe for U.S. President, but I do text back and forth with him on occasion, whenever I find myself unable to ignore his angry postings that seem targeted at people like me, one of the sisters who has adored him since his quickening. I like to think that our father would understand my inability to respect the current U.S. President, and I cannot seem to accept that my brother does not share my outrage over the outright dishonesty, bigotry, and sexism we witness daily in news reports about the current administration. We know better than this, I remind my brother, in my mind. We were taught better. We are better than this. 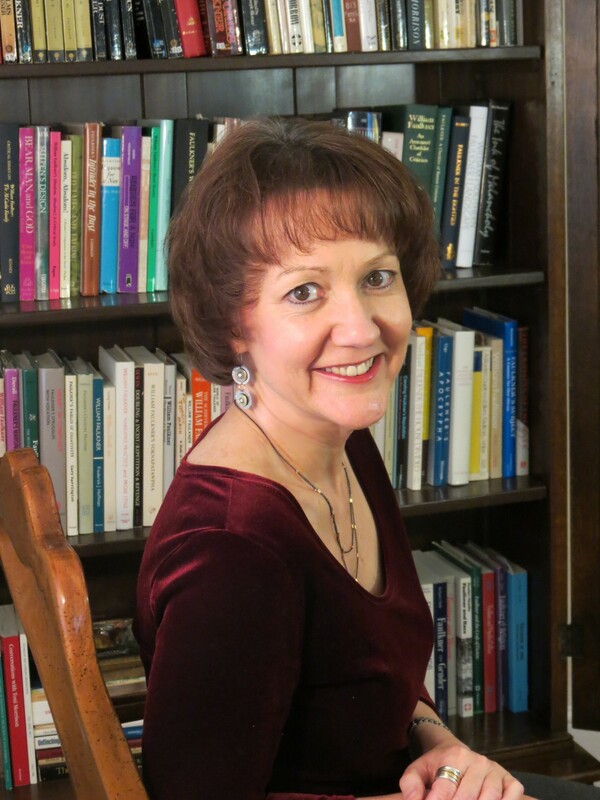 Margaret Donovan Bauer, a native of south Louisiana, is the Rives Chair of Southern Literature and Distinguished Professor of Arts and Sciences at East Carolina University in Greenville, NC, where she has served as Editor of the North Carolina Literary Review for over 20 years. She is the author of four books of literary criticism, most recently A Study of Scarletts: Scarlett O’Hara’s Literary Daughters (2014), but for the past few years has been writing creative nonfiction, which she has published in storySouth, New Madrid, and Deep South. In 2017, Bauer received the North Carolina Award for Literature, given by the governor, and in 2018, the John Tyler Caldwell Award for the Humanities from the North Carolina Humanities Council.